We saw Orca Killer Whales today! 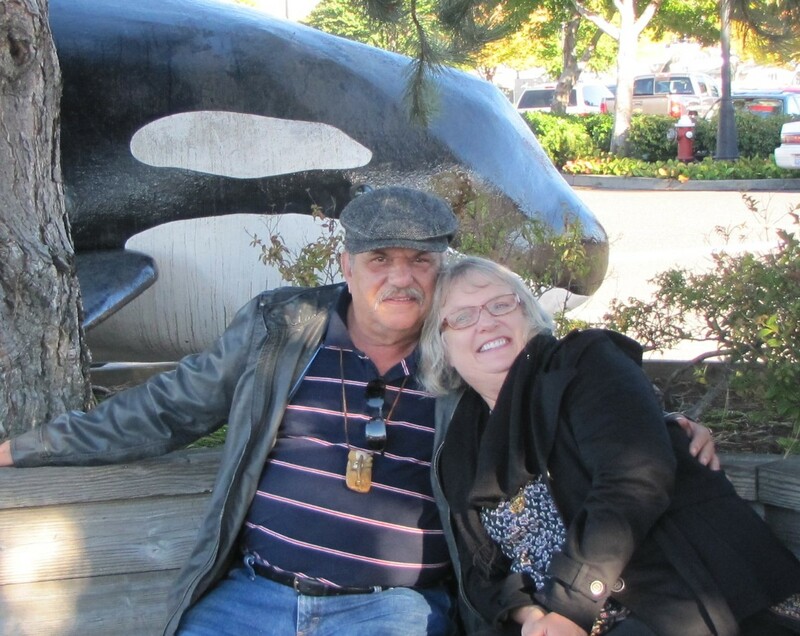 Today we had a marvelous day on our whale watching cruise on the Island Caper. The weather was perfect and the eagles and Harbor seals were out sunning themselves in full view. 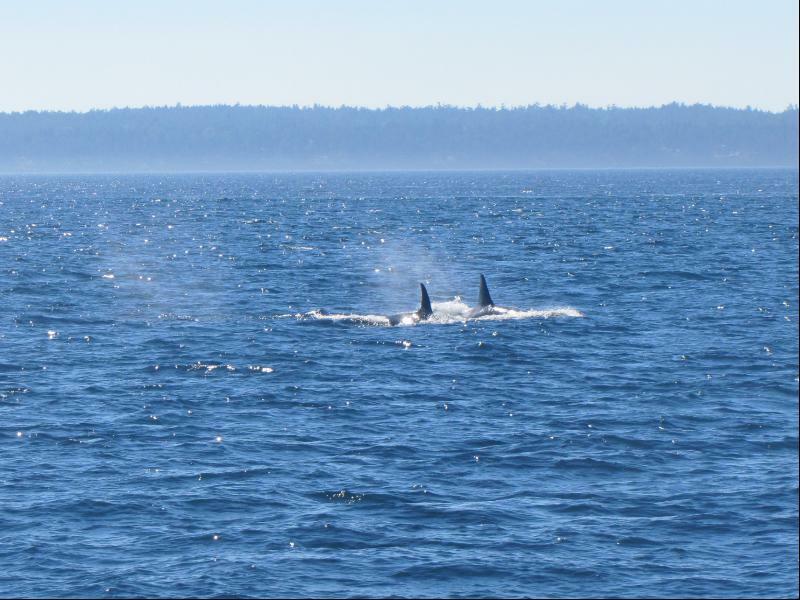 The cruise led us to parts of the San Juan Islands were orca killer whales from both K pod and L pod were very active. We saw orcas all around the boat. One group from L pod came within about 20 yards of the port side. This group of adult and immature females was thrilling to watch. Once again the Island Caper crew showed us an outstanding time during our voyage. 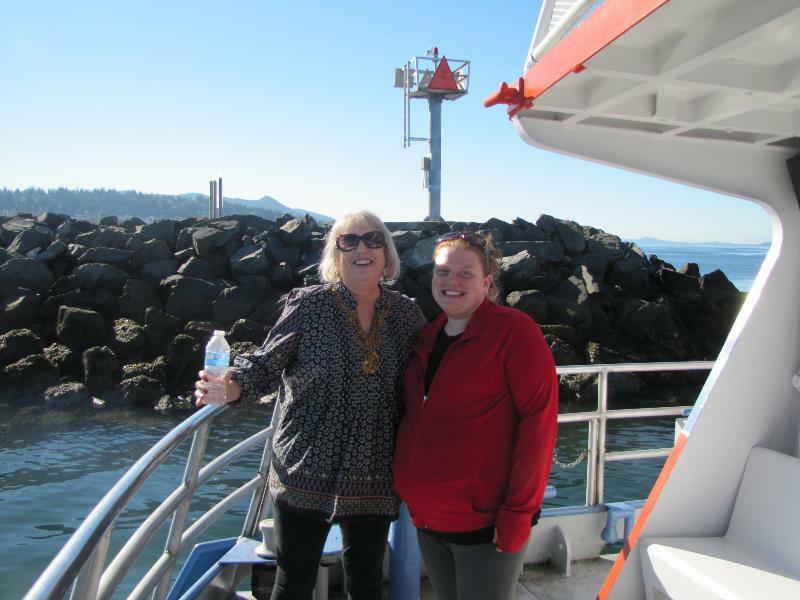 Sher with our daughter as we left the harbor.